We have beautiful tower shop display units at Binder's, and this beautiful cabinet is a great antique piece. 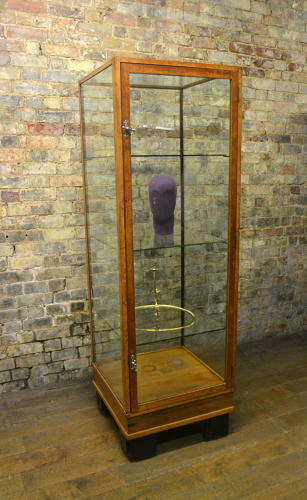 This unit has three glass shelves, and a beautiful wooden frame. It does have some staining on the floor, but it is an antique cabinet and is still in beautiful condition.